Using the scope, your doctor can look for ulcers, inflammation, tumours, infection, or bleeding. He or she can collect tissue samples (biopsy), remove polyps, and treat bleeding through the scope. Your doctor may find problems that do not show up on X-ray tests. You may be asked to stop taking aspirin products, non-steroidal anti-inflammatory drugs (NSAIDs), and iron supplements 7 to 14 days before the test. If you take blood-thinning medicines regularly, talk with your doctor about how to manage your medicine. Do not take sucralfate (Sulcrate) or antacids on the day of the test. These medicines can make it hard for your doctor to see your upper GI tract. Before the test, you will put on a hospital gown. If you are wearing dentures, jewellery, contact lenses, or glasses, remove them. For your own comfort, empty your bladder before the test. 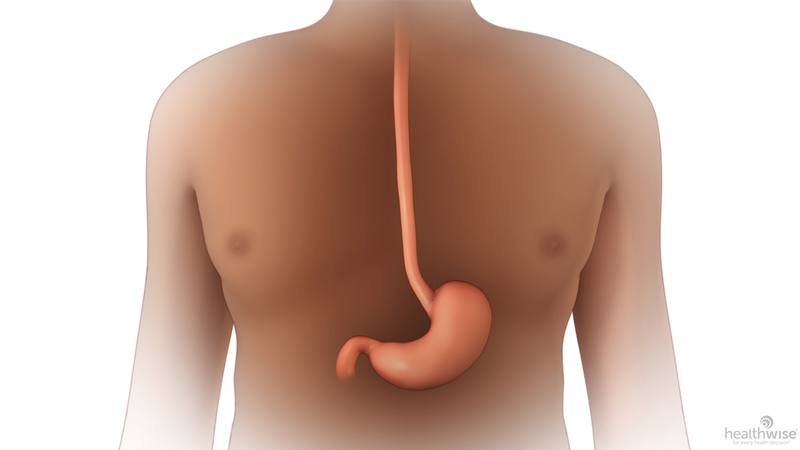 A gastrointestinal endoscopy may be done in a doctor's office, a clinic, or a hospital. An overnight stay in the hospital usually isn't needed. The test is most often done by a doctor who specializes in problems of the digestive system (gastroenterologist). The doctor may also have an assistant. Some family doctors, internists, and surgeons are also trained to do this test. To make it easier for your doctor to see different parts of your upper gastrointestinal (GI) tract, someone may change your position or apply gentle pressure to your belly. After the examination is done, the scope is slowly withdrawn. Bleeding may also occur from the test or if a tissue sample (biopsy) is taken. But the bleeding usually stops on its own without treatment. If you vomit during the examination and some of the vomit enters your lungs, aspiration pneumonia is a possible risk. If it happens, it can be treated with antibiotics. Moderate to severe difficulty breathing . 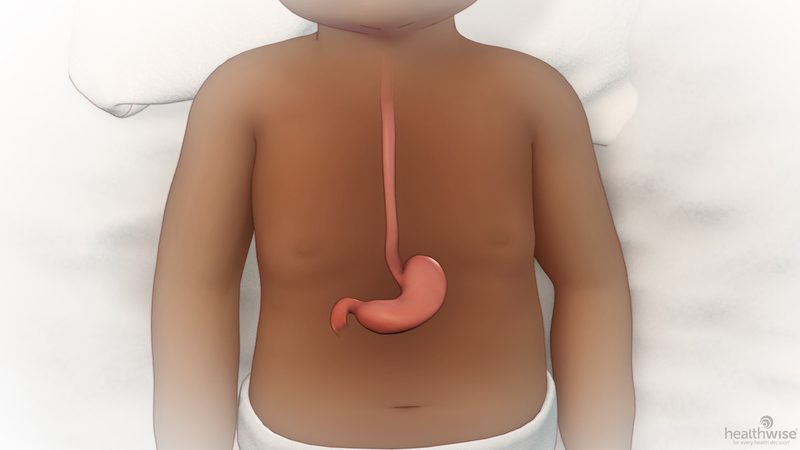 The esophagus, stomach, and upper small intestine ( duodenum) look normal. Bleeding, an ulcer, a tumour, a tear, or dilated veins are found. Find out if tumours or ulcers contain cancer cells.